We have been working hard with our designers over the last few months to develop a BCS plate carrier line. We have narrowed it down to three different versions to allow the operator the greatest range of option when using hard plates. The three version are: 1) Plate carrier with cumber, 2) Plate carrier with molle, 3) Plate carrier no molle. 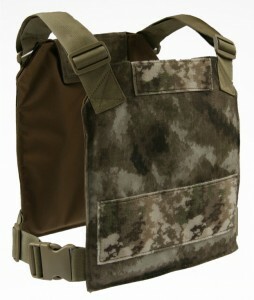 All the plate carriers are a top load design which is unique in the industry and support SAPI cut 8×10 10×12 or 11×14 (Small, Medium, Large and XL plates). The BCS plate carrier with cumber – The plate carrier has plenty of molle to mount molle compatible pouches. The carrier also includes plenty of hydration/commo routing webbing. Two loops, two diagonal and two shoulder pads with routing webbing to keep things from getting caught. Name tape, ID or blood type can be added to the row of 2″ velcro. The rear of the plate carrier also includes routing webbing loops to keep everything tight. The drag handle is reinforced under two rows of molle. The cumber has three rows of molle on the outside and inside. 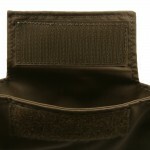 The inside molle rows support proper side plate placement or additional mag pouches. Velcro allows access to insert soft armor or cumber support material into each side of the cumber. The cumber is fully adjustable and is routed through a flap on the rear that is covered in molle. The top load design insures the operator and provides that peace of mind that the plates will not fall out. 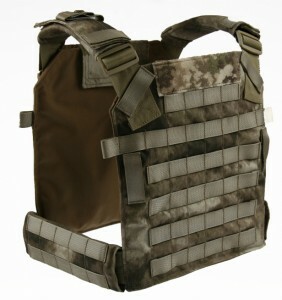 Plate carrier with molle is the same design but without a cumber. The front and rear cumber flaps have been removed that support the cumber and replaced with molle. this make a lighter more stream line carrier. Optional shoulder and waist pads are available. 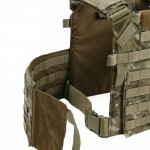 The waist pad option allows the operator to have a low profile carrier but still retain the side modularity if needed. 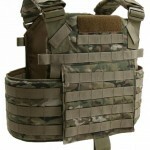 Plate carrier low-profile is a super light weight carrier with no molle. 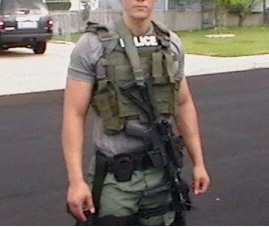 The plate carrier retains the 2" velcro for ID, name tape, blood type..etc on the front. We also added a 4" loop piece on the front for attachment of mag pouches or to help secure a chest rig to the plate carrier. Both of these plate carriers can be purchased with shoulder pads and waist pads. The shoulder pads are available in 4" 6" or 9" length. Our waist pads are 8" in length. These plate carriers are available in multiple colors – Multicam, A-TACS AU, A-TACS FG, Coyote, Ranger Green, Khaki, Woodland, OD and Black.